ACTA Medya produces live transmission and broadcast of Istanbul Marathon. 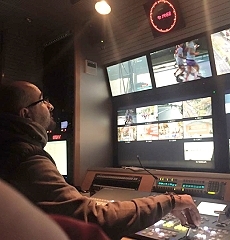 Istanbul, November 2015: The live transmission of the 37th Intercontinental Vodafone Istanbul Marathon was carried out by ACTA Medya in co-operation with Mediapro Turkey. 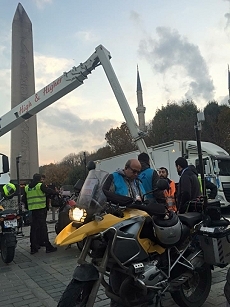 Three helicopters, two Cineflex cameras, three Motocycles and wireless RF systems were used during the broadcast that was live on TRT HD and TRT Spor. A 6-camera production room at the start of the marathon and a 10-camera production room at the Finish were part of the logistics for the live transmission. In addition, six DSNGs (two cameras) located at different points in Istanbul helped provide comprehensive coverage of the race. During the 3,5 hours of transmission, the excitement of the marathon and the spectacular views of Istanbul were reflected in the television broadcast. The production was provided to TRT as a turn key solution, including the graphics, broadcast systems and satellite coordination. ACTA Medya, had previously produced the 2012 and 2013 Istanbul Marathon live broadcasts as well as the 2014 Istanbul Half Marathon live broadcast.